I just heard we were featured on the Knot with The Photo Bus for Samantha and Brian’s wedding! Always an exciting email!! This is one of our favorite venues, 809 at Vickery in Fort Worth. Check out some photos below by Dreamy Elk Photography, and more on the knot blog post here. 809 Vickery is the perfect Venue for the bus, they have a great outdoor space where The Photo Bus fits perfectly. 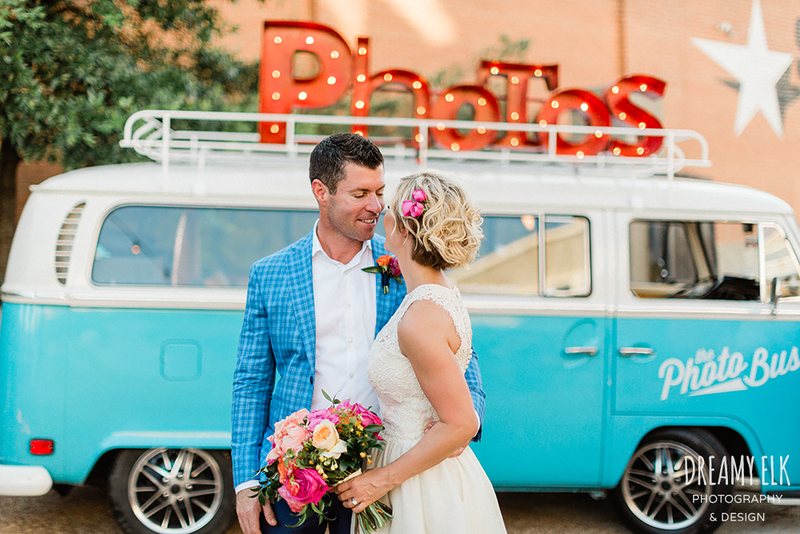 The Bus is a great Photo Booth for a Wedding in Fort Worth at 809 Vickery. Also shout out to some of our favorite vendors at this wedding, Jen Rios Weddings, LeForce DJ!